Conduits are a new band from the always-punching-above-its-weight music scene of Omaha, Nebraska, and we were fortunate enough to catch them right after the release of their promising self-titled debut on the label Team Love. Conduits’ reference points include many bands I revere – Slowdive, My Bloody Valentine, Lush, Portishead and the underappreciated Irish band Scheer – so I was naturally taken with their sound. Lead singer Jenna Morrison, previously of another beloved Omaha band Son, Ambulance, is a commanding frontwoman and vocalist, with the sort of powerful but ethereal voice that works perfectly with the band’s layers of feedback-drenched sound. And far from affecting the distant posture of some of their sonic forebears, Conduits actually perform, again with Morrison and bandmates J.J. Idt (guitar), Nate Mickish (guitar), Mike Overfield (bass, keys), Roger L. Lewis (drums), and Patrick Newbery (synth, keys) sharing the intensity of the moment with the crowd. Knob-twiddlers and shoegazers they ain’t – this is a rock n’ roll band that, even at a young stage, looked and sounded totally comfortable on the relatively big Bowery stage. Idt and Mickish, who founded the band, clearly assembled their fellow players wisely. This opening set at Bowery Ballroom covered four of the eight tracks on Conduits, plus two other songs that were new to me. My personal favorites came back to back – the strong rocker “Blood” and the more dark, atmospheric “Last Dirge”. Although the set was brief, it established Conduits as a band to watch. We expect great things in the future. 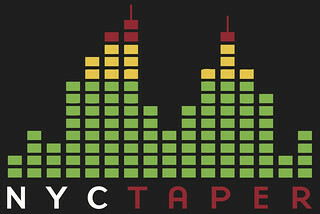 nyctaper and I recorded this set with a combination of more directional Schoeps MK41 hypercardiod microphones and Sennheiser MKH-8040 cardiods. While this was not my favorite house mix in this beautiful-sounding room, this remains a great capture and a worthwhile introduction to this band. Enjoy!